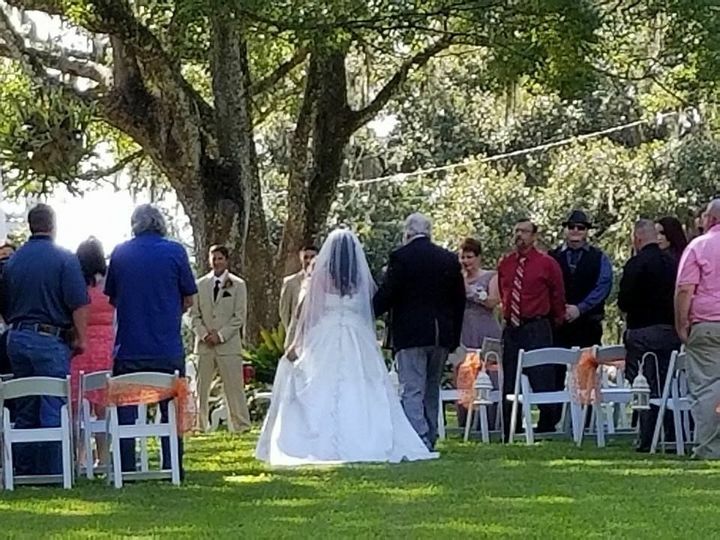 Garden Room is a mansion wedding venue located in Brooksville, Florida. Garden Room is a lovely section of the greater Saxon Manor that you can utilize for an engagement party, rehearsal dinner, and other life celebrations. 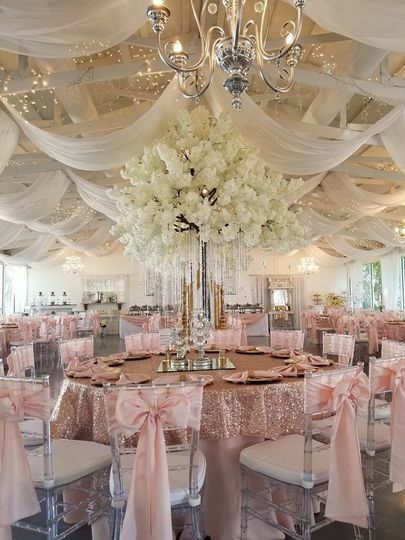 This intricately decorated room offers an elegant setting for you to gather with friends and family to celebrate all the love and joy shared on your special day. Garden Room is a customizable setting that can be transformed to fit your specific style, theme, and personality. This special room is completely climate controlled so you can your guests will stay comfortable no matter the season or time of day. 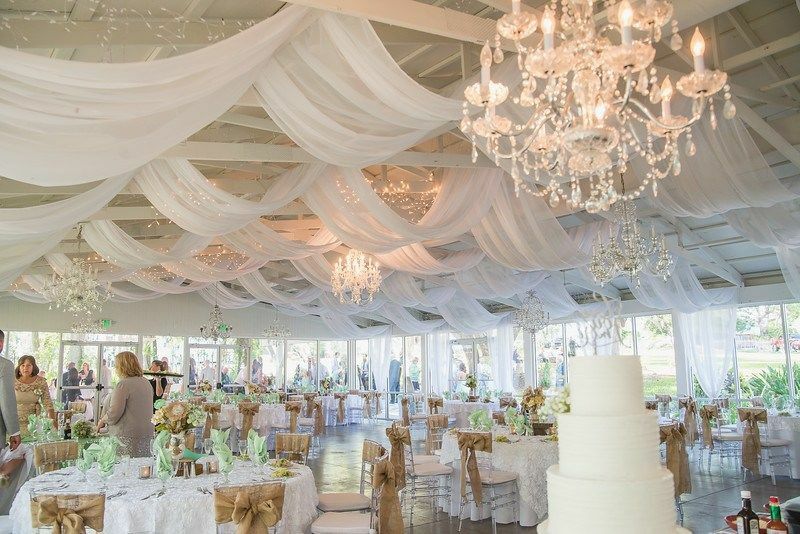 Garden Room also features a gossamer draped ceiling and gorgeous chandeliers that adds to the romantic ambiance. Outside this gorgeous room, you will find yourself in lush manicured gardens. 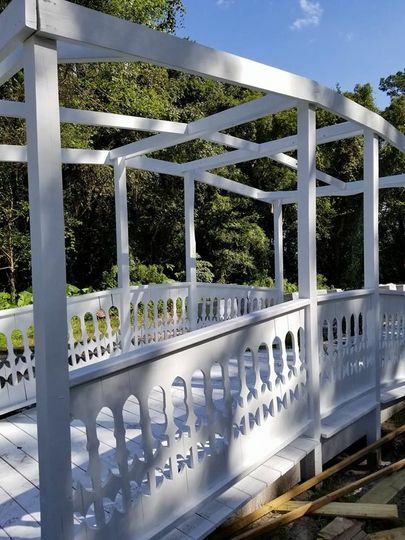 These gardens are full of large oak trees, camphor trees, flower gardens, and a small waterfall that flows into a little pond. This venue is a lovely space that can accommodate parties with up to 150 guests for a seated meal and plenty of room for dancing. 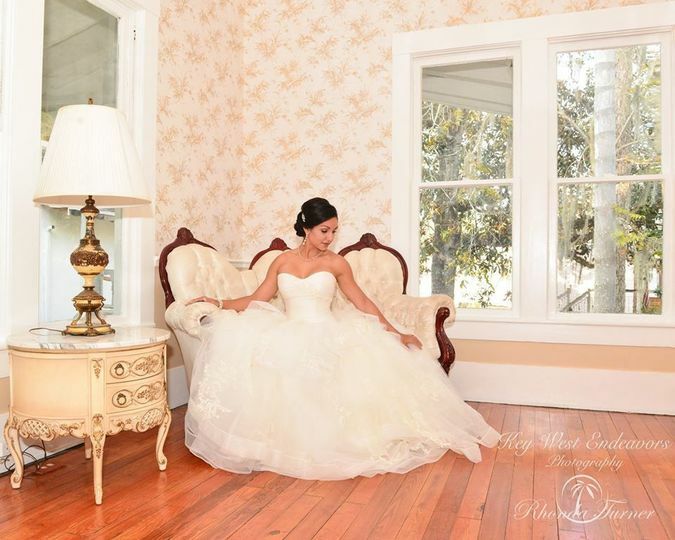 Additionally, Garden Room has get ready rooms for the wedding parties to utilize before and throughout the big events. 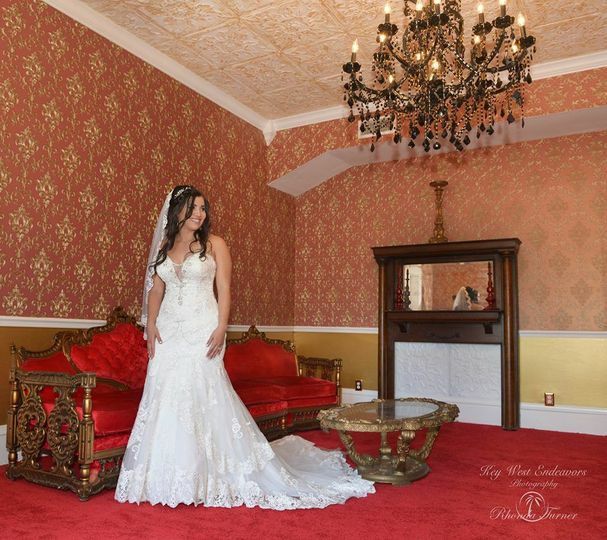 Garden Room offers a wide range of services to each guest that chooses to celebrate their special day at this venue. 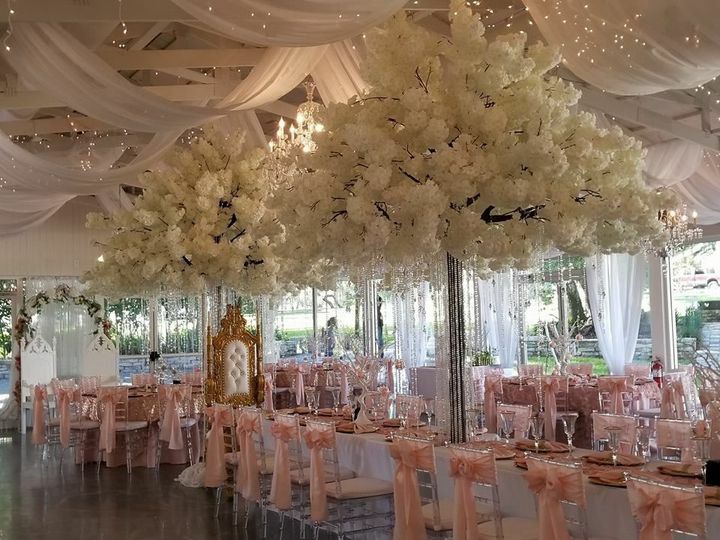 This venue can provide endless pieces of decor that can be hand picked by you to fit your exact theme. Garden Room can supply full length linens in a variety of colors that you can mix and match. Additionally, you and your guests can enjoy dining on vintage china alongside elegant silverware, flatware, and barware. Other decorations offered by the Garden Room include centerpieces, candles, mirrors, and much more. Additionally, this venue offers catering services in buffet style that can be customized. 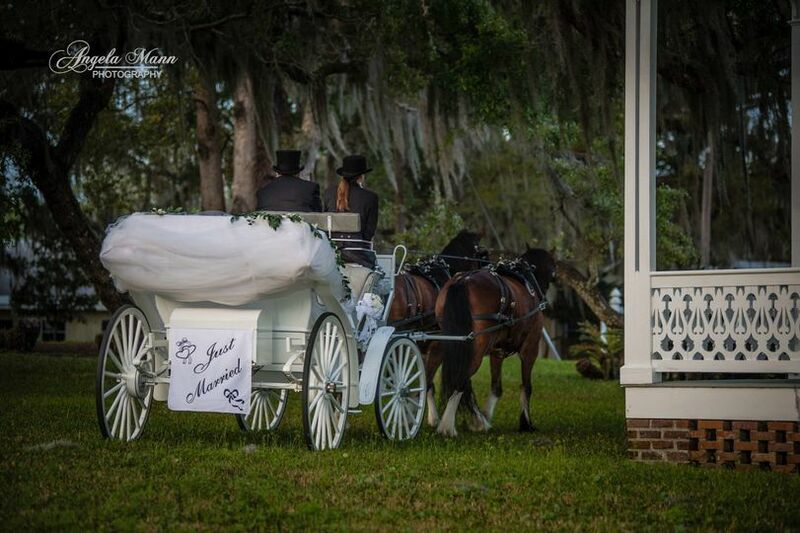 These catering services also include bar services, champagne toasts, and cake services. 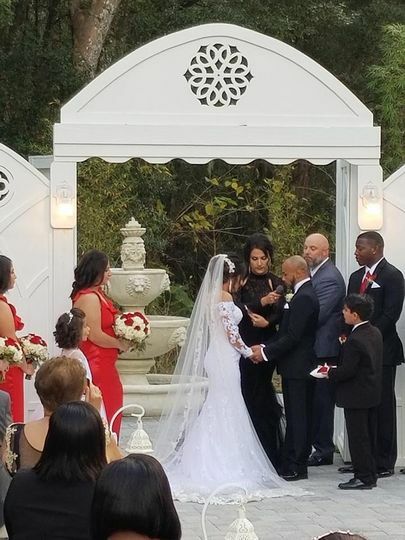 Garden Room also has an on-site wedding coordinator that will make sure all the events of your special day flow together seamlessly.